From Iranian hipsters and rastafaris to women in their black chadors, pretty girls wearing the headscarf at the edge of their heads, both traditional bazaars and 21st century fashion malls, amazing art galleries and just traffic and chaos everywhere, Tehran is a real metropolis which truly deserves the title of capital, as this is the clearest example of what modern Iran is like and one of the very few Middle Eastern cities where you can actually see urban sub-cultures, only behind Beirut and, of course, Israeli cities. However, most travelers tend to skip Tehran in favor of majestic Esfahan, historical Shiraz or the perfectly shaped old city of Yazd. The reason is that Tehran doesn’t possess their majesty or their long history. Nevertheless, with an excellent backpacker’s hostel recently opened (Heritage Hostel), beautiful mountains which can almost be reached by metro and plenty of unique sites such as the former U.S. Embassy, today a museum which holds plenty of anti-American propaganda, Tehran may keep you busy for weeks. 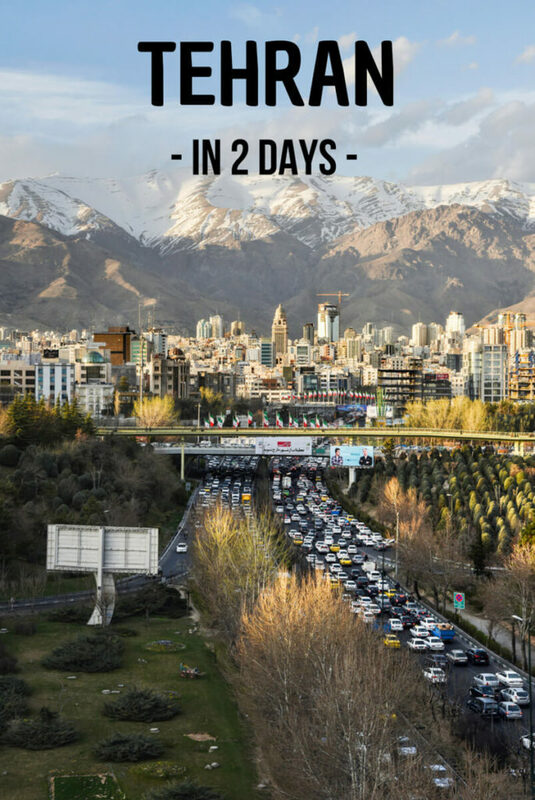 Most travelers, however, at most, spare just 1 or 2 days for Tehran. 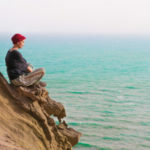 I actually visited Tehran for 4 days but, in this article, I will show you a list of things to do in Tehran in only two days. 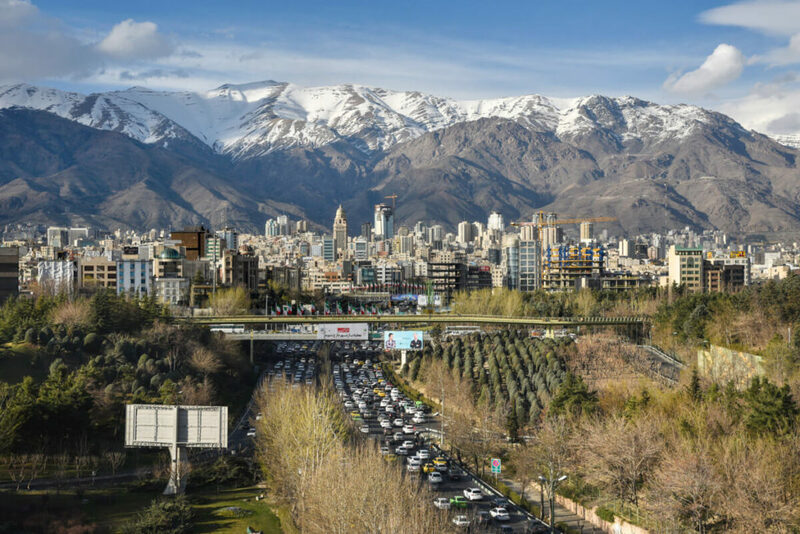 Tehran is an absolutely vast city, with plenty of places to visit. In two days, though, you will get to visit the highlights of the city, no problem. By the way, Tehran is socially divided into north and south. 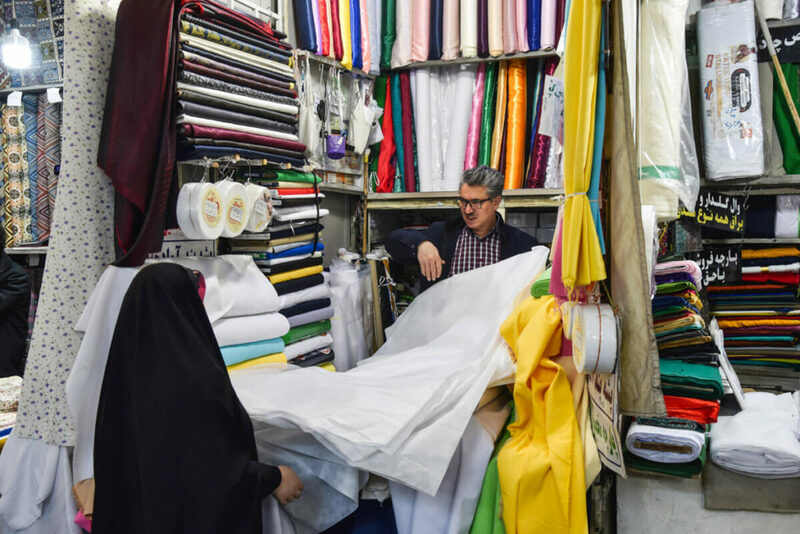 South Tehran is where the traditional families live, which tend to be poorer and regime supporters, hence more religious. The north belongs to the modern society of Iran. From carpet salesmen to spices and colorful fabrics, this is the hugest bazaar I have ever been to, at least that I can recall. A real labyrinth of thousands of shops, the best you can do is to stroll down its bustling alleys, while getting invited by carpet sellers to check their products and drink some chai. There are endless picture opportunities and most locals will be happy and proud to pose in front of their shop. 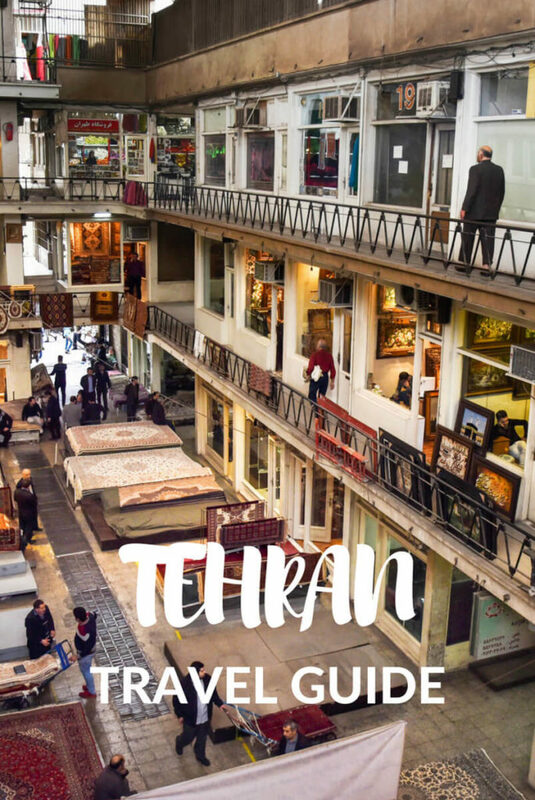 The Tehran bazaar is one of the most popular things to do in Tehran. Try to be there in the morning because, after lunch, it gets extremely busy. The Golestan Palace is located right next to the bazaar, so that would be your next stop on day 1. 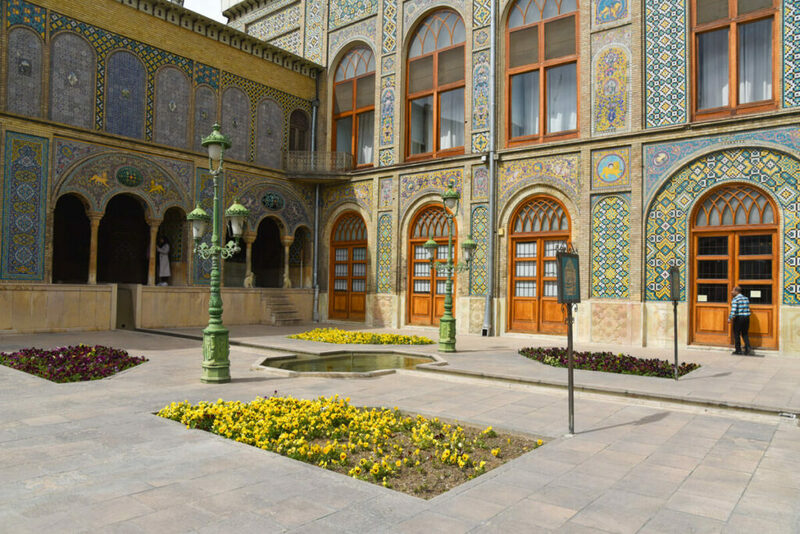 This complex is where the Qajar dynasty used to live, a royal family which ruled the Persian Empire from 1785 to 1925. The Palace is composed of beautiful gardens and buildings that hold several museums. The entrance to the garden and complex costs 150,000IR (3.60USD) and then, you have to buy an extra ticket for each museum or building you visit, which range from 50,000 to 150,000IR each. To be honest, those museums are not really worth the money and the most enjoyable part is checking the buildings from outside. I sat in the café-terrace of the complex and enjoyed the atmosphere over a cup of chai and my notebook. After lunch, you should head to the former U.S. Embassy. If you watched the movie Hollywood movie, Argo, you will know that, in 1979, during the Iranian Revolution, a big group of students held tens of American diplomats as hostages in the embassy for 444 days. The reason is that the Americans had been the center of support for the previous Shah, the ruler that was overthrown during the revolution, and whose objective was the secularization and westernization of Iran. After the Revolution, the embassy was permanently closed and, today, it has become the U.S. Den of Espionage, which is used by the Sepah militia, a pro-revolution Iranian armed group. It also became a museum which holds plenty of anti-American propaganda. The entrance costs 200,000IR (6USD). 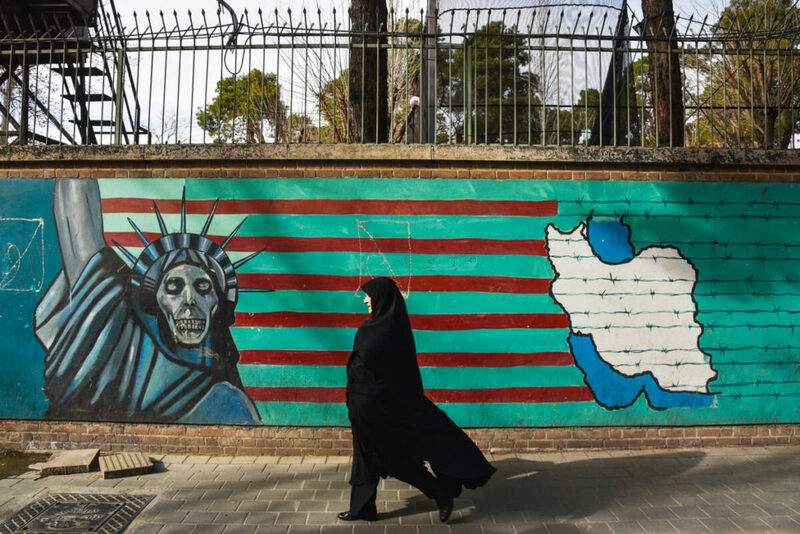 The outside walls of the embassy are also filled with anti-American and Israeli propaganda, including the famous skulled Statue of Liberty. You can take pictures of the graffiti without any problem. At sunset, you should head to the Tabi’at bridge. Meaning Nature Bridge and overlooking the Tehran skyline with its mountain in the background, this is the perfect place to end your day. However, you should know that the sky of Tehran tends to be foggy, especially in summer, so consider yourself extremely lucky if you get a clear day. One curious fact is that the architect was a 25-year old Iranian woman. 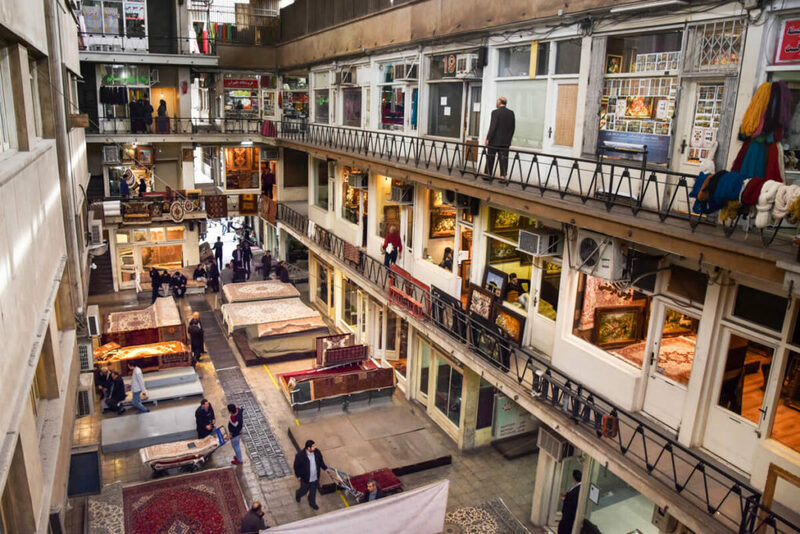 This is the most interesting museum in Tehran and, perhaps, in the whole of Iran. The Holy Defense Museum is dedicated to the Iran-Iraq war, an 8-year conflict that claimed hundreds of thousands of lives. 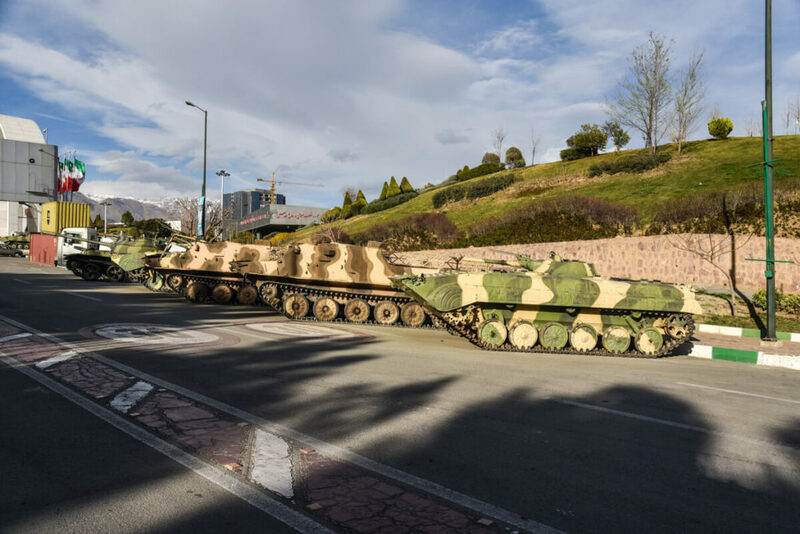 From real tanks and rockets to a very detailed, intriguing history of what actually happened there, the museum portrays the bloody massacre fought between Iran and Sadam Hussein’s regime in a very sobering way. 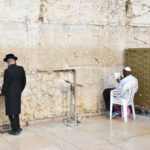 The museum is very close to Tabi’at Bridge so, if you had time (which is unlikely), you could visit it on day 1 but, in any case, it is on the way to the next tourist attraction. Located at the bottom of Mount Tochal, when you get to Darband, you will forget that you are actually in one of the most chaotic cities ever. 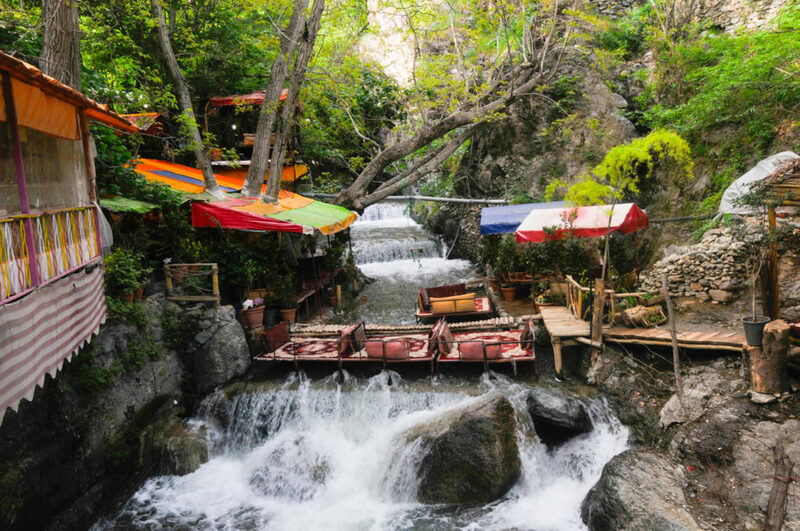 Darband is a place filled with rivers, waterfalls and mountain trails. Many restaurant’s tables are placed onto the river itself and they serve some of the best kebabs in the city. Moreover, there are plenty of dried fruit stalls, as well as many other local products. You can also go hiking, a very popular trek being the Mount Tochal peak, which is a 6-hour hike (one-way) and you can return by cable car. Budget Hostel (Top Choice) – Heritage Hostel – This is, by far, the best hostel in Iran. The owner Omid, a good friend of mine, is an Iranian guy who has been backpacking across the world for many years. 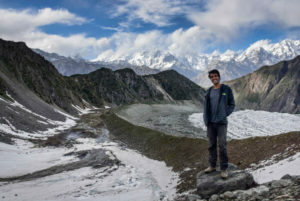 He really knows what international travelers need, so that’s why he decided to open a great hostel, with really comfortable dorms and amazing private rooms, as well. There are several hanging out areas, a barbecue and even a traditional Persian pool. It’s an ideal place for either couples, solo backpackers and even mid-range travelers. Mid-range – Hotel Markazi – Located right next to Sadi Station, this mid-range hotel is super clean and offers excellent service. 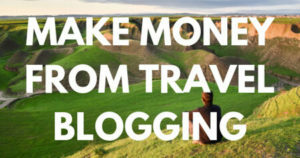 The best choice for those still on a budget but don’t want to stay in a backpacker’s hostel. Taxi – The local price for a taxi is something between 10 and 15USD. 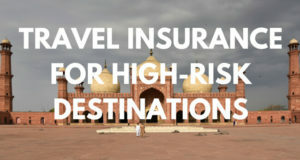 If they see you are a tourist, they will definitely try to rip you off. I actually met a girl who paid 25USD. Try to bargain and, if they tell you a higher price, look for another driver. Alternatively, if you go the departures terminal, you can find some taxis which are going back to the city empty and may be willing to offer you a cheaper price. Snapp – Snapp is the Iranian Uber and a cheaper way to get to the center of Tehran. Get an Iranian Cell SIM Card at the airport and order a taxi. The app is available for both iPhone and Android. Metro – There’s a metro connecting the airport with the city center. However, the journey is pretty long, around 1 hour and 30 minutes. A single ticket costs as little as 10,000IR (24¢). Metro The metro in Iran is extremely effective, as it runs very frequently, it’s super cheap and it goes absolutely everywhere, including all the touristic sites. Each metro ride costs 10,000IR (24¢). 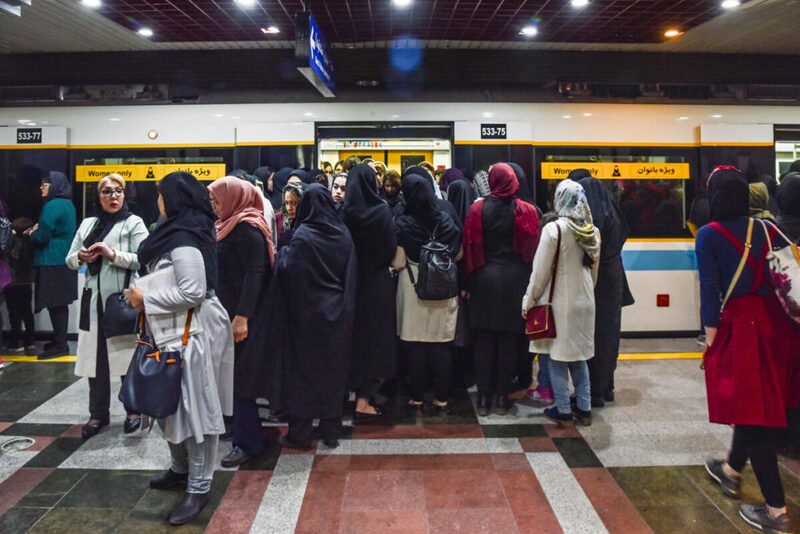 Nevertheless, if you are planning to stay in Tehran for a few days, you should get a Metro Card, which is free of charge but you need to buy at least 5 trips. Here you can find the Tehran Metro Map. Taxi – You can get regular taxis, of course, but, if you want to avoid bargaining, get Snapp App, the Iranian Uber I mentioned previously. I took a 20 minutes taxi and just paid 100,000IR (2.40USD). Bus – There are several bus lines moving around the city but, to be very honest, I didn’t need to take any. With metro and taxi, you will be more than fine. 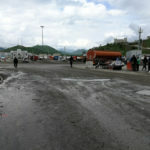 By bus – From Tehran, you can travel to pretty much everywhere in the country and most buses leave from Freedom Square. By train – Train connects with many cities across the country and the main station is at the metro stop called Metro Rail Station. Budget local restaurants – There are local eateries all across the city, serving really cheap and tasty meals. If you are staying at Heritage Hostel, go to Adeel, a very popular local restaurant serving all kinds of home-made food for just a couple of dollars. In these restaurants, you will pay a maximum of 150,000IR (3.60USD) for a complete meal. Fancy local restaurants – Divan restaurant – There are several fancy Persian restaurants found all across the city but this is the one I recommend. 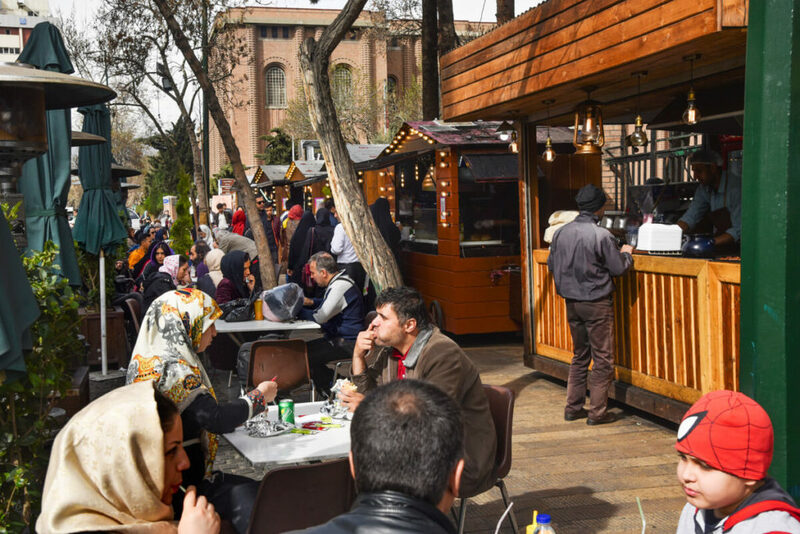 Street food – 30 Tir Street – If you fancy some good street food along with the modern hip of Iran, this street has several stalls serving all kinds of food, from fresh pasta to falafel, kebabs and other fast food Iranian dishes. It’s a few kilometers from the Golestan Palace and Tehran bazaar. If you don’t know what to do in Tehran during evening time, come to 30 Tir Street to taste the best street food in town. Location: 35.689835, 51.414296. Get a SIM Card – To get a SIM Card, you should go to an IranCell branch and the easiest place would be at Emam Khomeni metro station, right in the city center. The shop is located in the station itself and, to buy a SIM Card, you will just need your passport. When I went there in March 2018, they were offering two different plans, ranging from 220,000IR (5USD) for 3GB and 370,000IR (6USD) for 5GB. You can also get your SIM Card at the airport but I am not sure how much does it cost. Remember that many popular websites are blocked, so you will need a VPN. 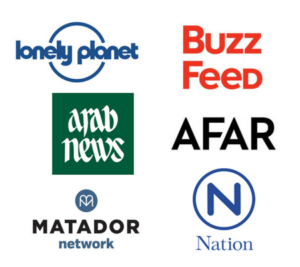 I recommend you read how to get the right VPN for Iran. Exchange money – The rate at the airport was not that bad, so get some local currency there to survive the first few days. In the city, exchanging in the black market is quite popular and you will always have people approaching you with this purpose. However, sometimes they tried to rip me off, so I prefer to go to an exchange office. At Emam Khomeni Metro Station, there are several offices just one or two blocks away, right here: 35.693607, 51.419224. Is Tehran safe? – From a crime perspective, Tehran is really safe, like the rest of Iran. The only danger you may encounter is when crossing the streets. In Iran, cars have absolutely no respect for pedestrians and crossing the streets is extremely dangerous, especially in Tehran, as there is more traffic than anywhere else. Awesome and useful post! When I visited Tehran, I was kidnapped (in a friendly way) by a super hospitable local family who insisted I check out of my hotel and stay with them. So I ended up not seeing any of the main sights in the city, but having a cool local experience and going to an Iranian wedding! haha, good one! Very lucky of you, I have never had the chance to attend an Iranian wedding! How was it? Very, very…different. No booze (of course), and there was a totally separate party for men and women. I didn’t even see the women. I asked if I could have special permission to photograph the bride, but they put a blanket over her head before I could see here. Later, the “men’s” side turned into a wild dance party (still no booze), and the DJ asked me to show off my “Western dancing” for one entire song in front of everybody, to some kind of bad techno music, which was really embarrassing. wow, then it is not much different than a traditional Sunni wedding from the Arab Gulf, at least. I thought it would be slightly more liberal, as Iranian Shia women are always so cool and laidback, even with foreigners. Hope you enjoyed. I’d like to attend one someday. Cheers! Haha . you visited a traditional wedding. in Tehran people tend to have their wedding outside of the city in Gardens. those are the ones that have a mixed party and they definitely serve booze. but this largely depends on the cultural situation of the families. for example, our family is not religious, so we are throwing a separate party.